Characters, often with one hero. They need to be real and relatable. 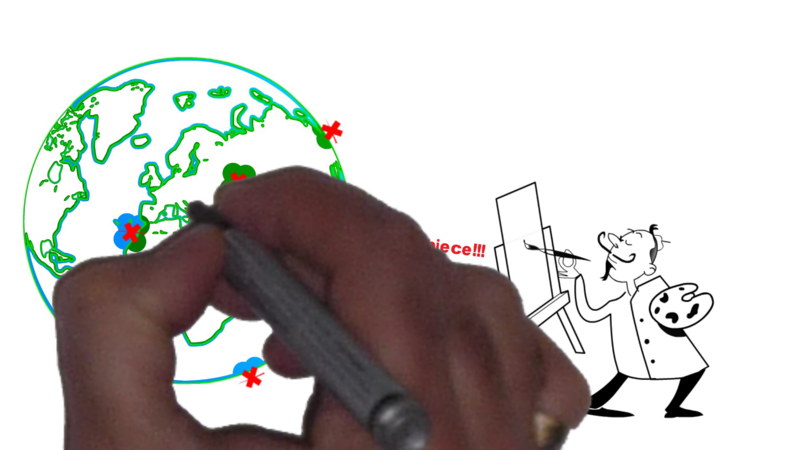 I will start with the whiteboard animation that I did for a consultancy company. I chose trees (ideas going through to fruition) to be the heroes. The helpers and the donors were the people of the NHS CCG. They were appropriately dressed and using the correct props for the trees (in the context of finance, quality, etc). They were helped in achieving this thanks to the good clear commissioning cycle. The cycle and the different people in their different roles are seen to be overcoming the conflict/villains. Some of the conflict/villains were money wasted, bad quality ideas, etc. It was thanks to the commissioning cycle everyone was coordinated in the resolution. In this context, the heroes you could say are numerous. 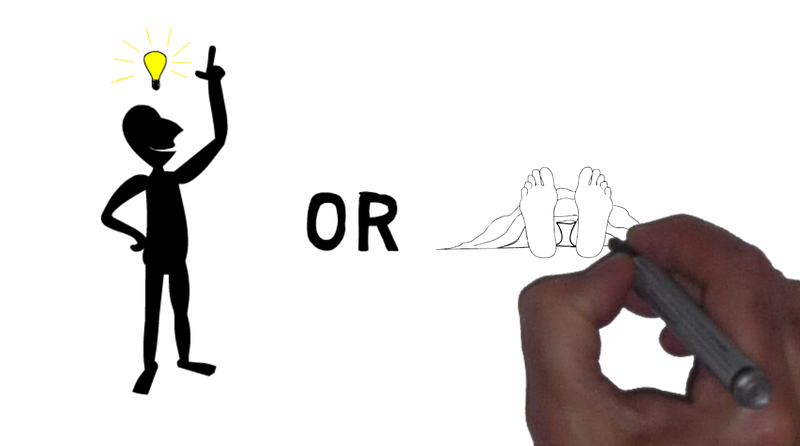 I chose to symbolically portray innovation (the hero) with the light bulb. Innovation could occur to anyone (therefore any viewer could relate to it). The challenge is to keep that light alive and allowing it to get to the right places to support and use this innovation. The internal video was making his company aware of the conflicts in the way to help them find the resolution after watching the video. Andrew Stanton, the film director, screenwriter, producer and voice actor at Pixar in his talk at Ted Talks: The clues to a great story gives a lot of advice for storytellers. There are two things from the speech I’d like to mention. Andrew Stanton quotes Mr Rogers who carries in his wallet a quote from a social worker: “Frankly, there isn’t anyone you couldn’t learn to love once you’ve heard their story”. Andrew Stanton rephrases it as what he sees as the greatest story commandment: “‘make me care’ – please, emotionally, intellectually, aesthetically, just make me care'”. For this reason it’s particularly important that the observer easily relates to the the hero and their story.